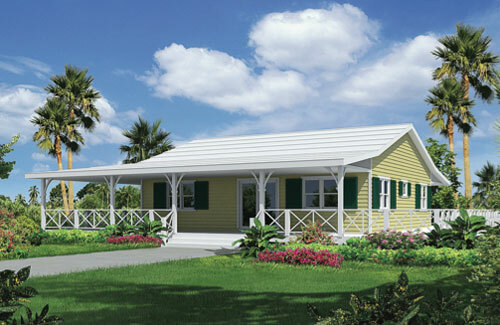 Covered Porches: 470 sq. ft. Gross Area: 1,562 sq. ft. The Sound House is our midsize single story model. We offer a hip or gable roof as well as most premium options available in our loft homes. The traditional layout with all the living space on one level allows easy access from living to dining and bedroom areas, while the covered porch and deck options compliment the total usable areas. Measuring 32 x 36ft., the Sound House is compromised of three bedrooms and two full baths with a kitchen and great room for casual style living. An optional carport or garage can be added to the side that insures all weather access, utility and additional storage area. Covered Porches: 1,140 sq. ft. Gross Area: 2,366 sq. ft.